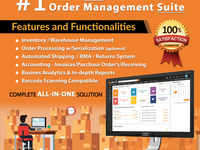 Multi-Channel businesses who require a good Inventory/Warehouse & Order Management Software Solution. Pros: There are many features about this software that I can appreciate. I like how easy it is for me to do what I need to. The "Import PO" function was a really great feature that I enjoy. With SkuSuite, it is very easy for me to create items. I like how everything is very accessible for us. Overall, this software is very helpful for my job. Cons: I do not have any cons about this software. Overall: My overall experience with SkuSuite has been great. They are always updating and adding new features. I am very excited on the future with SkuSuite. Pros: I am the one who deals with changes in inventory. The system itself is set up very easily to make these specific changes and I usually have no problem understanding what needs to be done because the steps are self explanatory. I also do help with orders. I am a very cautious person and when it comes to handling orders, I find the "Verify Items" feature very helpful. Cons: For my role of dealing with inventory, it does everything I need, so I really do not have any complaints. Onboarding and Training was fantastic! - Transitioning to a new system is not easy but its done! 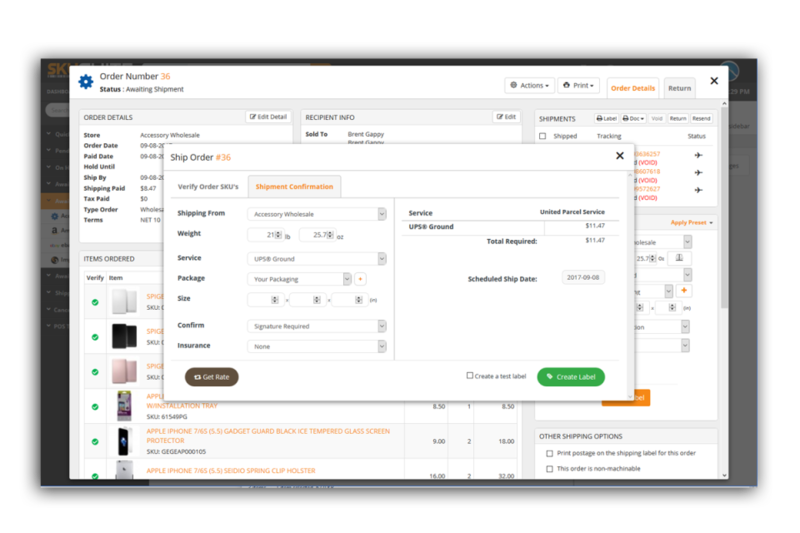 Pros: We love the fact that we are able to handle all our Wholesale, Retail and Online transactions all in one platform. We use to have 4 different platforms to run our business now its just 1. Cons: That they are still growing and adding cool new functionalities to the platform everyday. Really it worked out great both ways because we helped get customized solutions quickly done for us. Overall: Skusuite optimized all our daily processes and saved us hours of labor everyday throughout out staff. 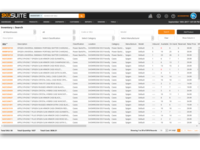 It gives us clear insights to all our inventory movements and all inventory is tracked. Best part is that all our high end items are now serialized with SERIAL # tracking and we have saved a ton of money on fraudulent returns. The best system hands down for wholesale and online marketplaces. Very affordable! Pros: Its super fast. 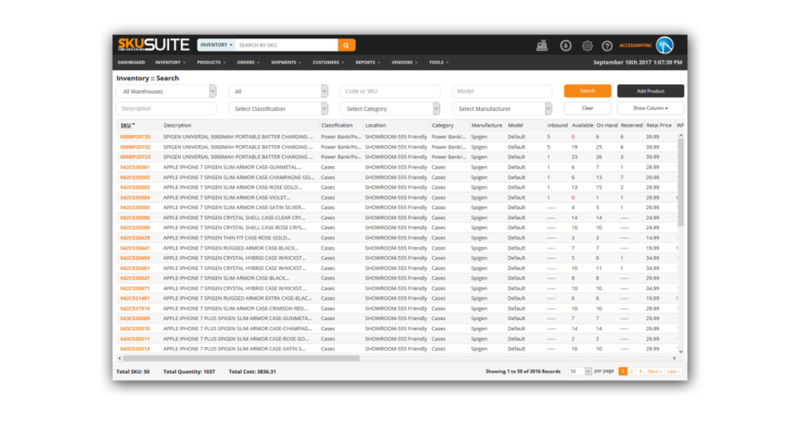 SkuSuite is so easy and fast that any company of all levels can use the system with confidence. Switching over to this system has cut our processing time in half and has eliminated potions we once needed. Its an all in one solution for us since we wholesale and sell on several marketplaces. The support team has been incredibly hands on and truly cares about our growth. The support rep. comes from the marketplace world and understands my companies needs alot of times better then I do. I'm no longer stuck and ready to keep growing. Its very exciting to be on a system that will support the growth that i know i can achieve. Cons: If i had to say something negative it would be on how my receiving of Pos is done. However, we are in the process of modifying that area. Overall: Less time to complete tasks, integration of marketplaces, fresh new website on Magento platform, overall better customer experience. Pros: Skusuite helped out by making all my market places come together to one source. It also helped maintain my products inventory and my warehouse is niw functioning like a well oiled machine. Cons: Cant wait for the new up-n-coming features. Overall: Works well with everyone in my staff. My employess especially like the ease of use and everything is all in one place. No more jumping from one software to another. Pros: Easy to use/navigate. Very intuitive. Serialized helps us tremendously in managing our inventory and tracking our sales data and product life-cycle history. Cons: Small/minor glitches that come with any newer software, however the development team is always on top of their game with any issues that arise and are always available to help us with our questions. Pros: Easy to use, integrates with several other major systems. Cons: Given my current experience, I have no cons to mention at this time. 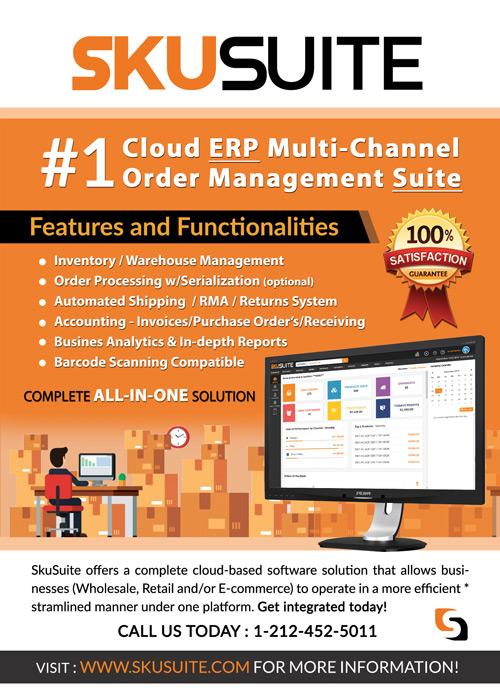 Pros: SkuSuite's cloud-based solution is just the right mix for our growing business. Our omnichannel orders funnel in and we used to spend hours upon hours manipulating our data for shipment. 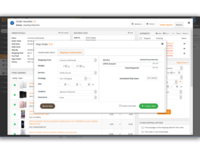 Now, with one solution, we add orders, get shipping rates and print our labels in one quick step. What took us hours to complete is done while we sleep. We can now focus on taking care of our customers rather than arm-wrestling with Dydacomp to solve a problem. Cons: We had to do some simple customizations based on our industry. It took us a few weeks to get up and runing. Overall: A+++ - Can't recomend them enough! Cons: The time it takes to create a product it doesn't allow you to create variants which takes you long to add each item. But developer says he will have it fixed soon.